Only 10 left! This item ships in 1-2 days. Your Grandma, Mom, or favorite Aunt dedicate so much love and attention to making their loved ones happy, so why not show her how much you appreciate it by giving her this beautiful personalized blankets? She can snuggle under this cozy fleece and take some much deserved R&R time. This Personalized Gray Blanket is a 50/50 cotton/polyester, 9.3 ounce fleece blanket. Double-needle stitching and Standard Ultra Blend� label. Stadium Blanket measures 50�۝ x 60�۝ and includes free personalization of any title and up to 12 names. 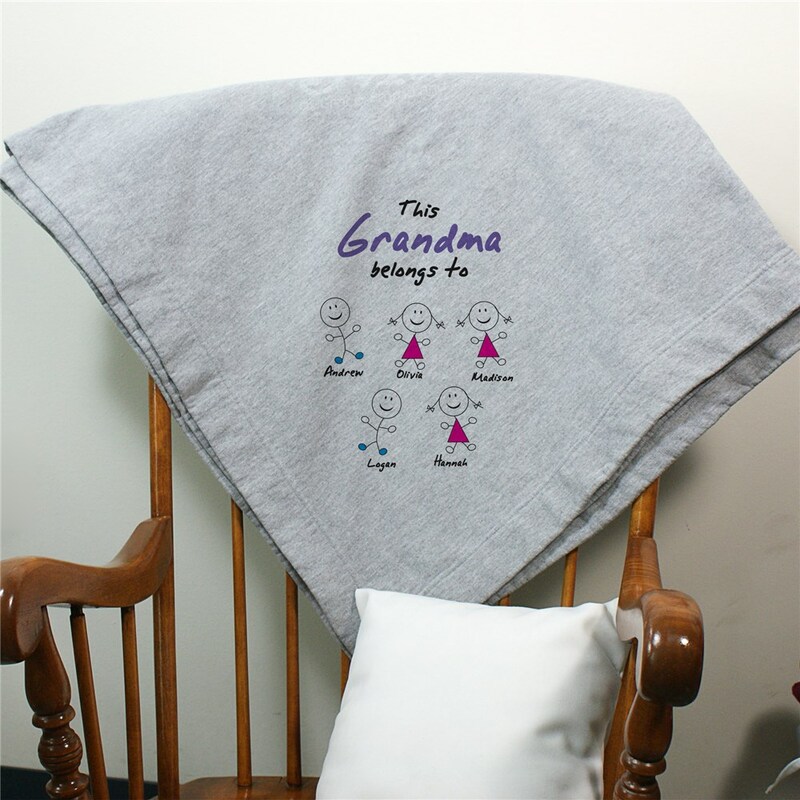 Personalize your blanket with any title like: Grandma, Mom, Nana, you choose and up to 12 names. Please specify girl or boy. i.e. : Sam (b). The blanket is exactly what I thought it would be. The blanket is very nice and the personalization is perfect. Exactly as shown. Seems warm and cozy. Easy ordering and delivery. Additional Details No matter what the occasion, your Mom, Grandma, or Aunt will be touched when they receive this personalized gift. The personalized touches will warm their hearts and put a smile on their faces. Our Personalized Love Tapestry Throw Blanket is another great gift option for her.